The Frames will release “Longitude” at the end of June – a compilation of songs chosen by the band, including new versions of Revelate & Fitzcaraldo and a new song called None But I, which you can listen to down below. For more details including release dates for both CD & Double Vinyl, go to TheFrames.ie. Across The Line on BBC Radio Ulster did a piece about the Frames celebrating their 25th anniversary. They talked to Colm, Bronagh Gallagher and a bunch of fans. It’s about 20 minutes and you can listen here! 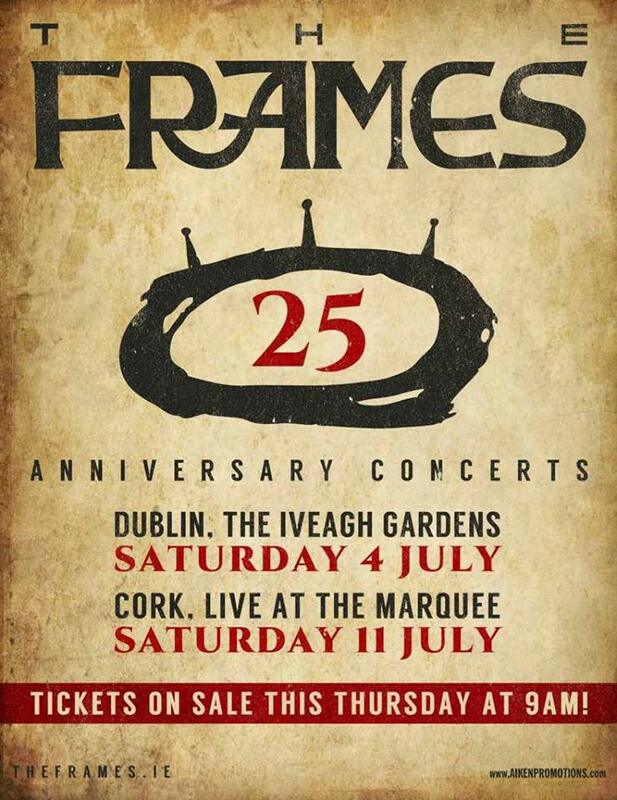 The Frames have added a second night in Iveagh Gardens on 5th July! Tickets go on sale for this show on Wednesday 4 February at 9am.